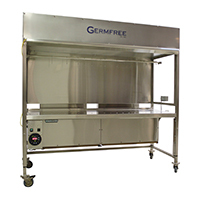 Germfree manufactures a comprehensive line of barrier systems for aseptic control and containment as well as a complete mobile and modular cGMP facilities. We offer advanced solutions to maintain cGMP processes and production for a wide range of biopharmaceutical applications. 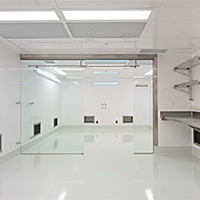 We are a single source OEM provider of complete cleanroom and lab facilities and the corresponding integrated equipment. Our leading-edge fabrication technology, engineering teams and subject-matter experts are located at our 173,000 square foot (16,000 square meter) US manufacturing plant. Germfree provides flexible and scalable solutions for the emerging biotherapeutics pipeline. 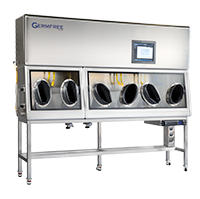 Germfree designs and manufactures custom Aseptic and Containment Isolators for numerous applications requiring cGMP compliance. We also custom engineer and manufacture Restricted Access Barrier Systems (RABS). Our in-house engineering team works with you to determine the optimal design & process flow, integration of components, properly configured controls and clean air requirements. Our Unidirectional Airflow Cabinets offer a high degree of localized control for critical aseptic processes. Horizontal and Vertical Laminar Flow Hoods are available. 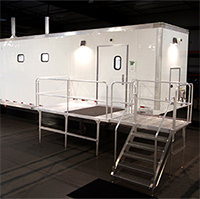 They provide ultra-clean air to enhance sterile product processing, delivering uninterrupted ‘First Air’ to the work zone. We specialize in custom integration of any components and assure that all engineering controls are properly configured for a cGMP-compliant production facility or cleanroom.